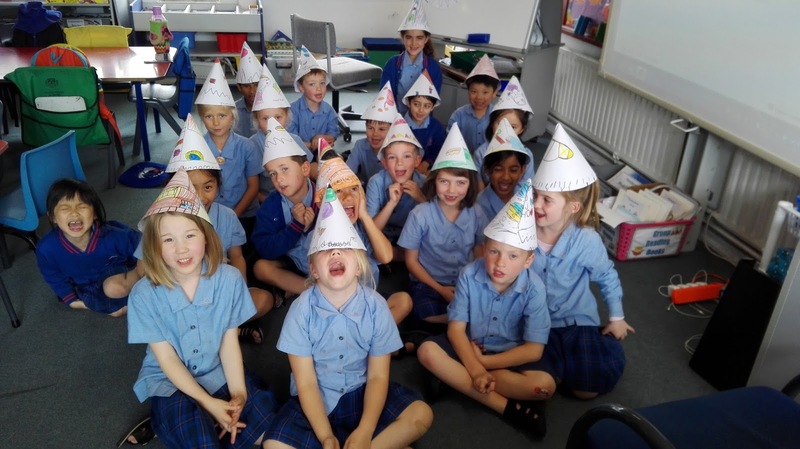 As part of our Celebrations Topic, we have been talking about birthdays. 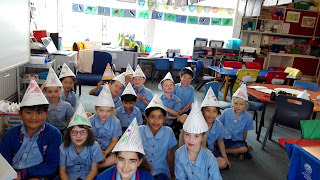 This week we designed and described our 7th birthday cake and we made some party hats. 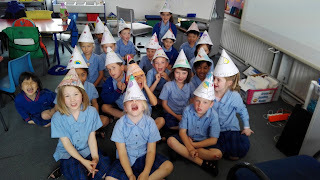 On Friday we sang 'Happy Birthday' while we wore our party hats and played party games. What a lot of fun.Come in and see our cake designs up on the wall in the classroom. Happy Birthday to all you delicious Room 13 kids. I hope you had a great party !! What a handsome bunch you are in your party hats.